Senior corporate executives generally sign borrowing agreements to finance operating activities in the short and long terms. These activities relate to purchases, sales and marketing, human resources management and business partnerships. 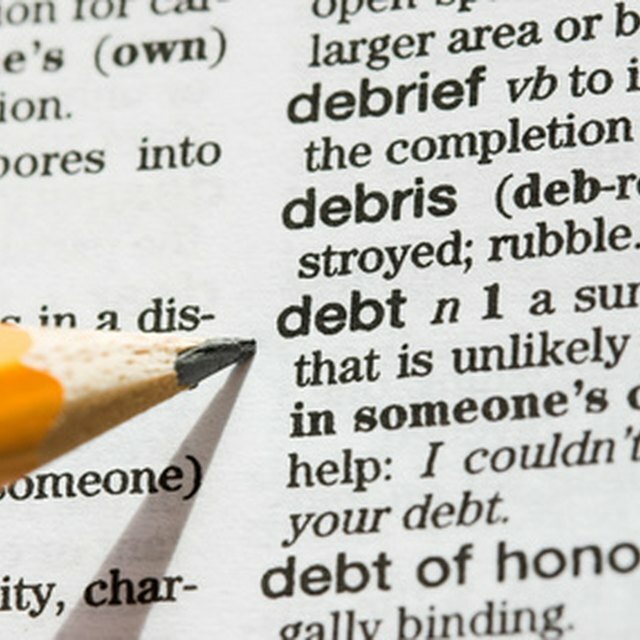 A debt is a liability, such as a short-term loan or long-term note, that a borrower must repay. Operational debt consists of all liabilities that a firm incurs through its primary activities. It include accounts payable and taxes due. Senior managers pay special attention to operational debt because business partners--such as customers, lenders and suppliers--often gauge a firm's short-term economic robustness by calculating operational debt levels. Types of operational debt items vary by company and industry, but the most common are vendor payables, pension liabilities, salaries and taxes. To record an operational debt transaction, such as inventory delivery, an accountant credits the vendor payable account and debits the purchases account. An accountant reports operational debt in a company's statement of financial condition, otherwise known as statement of financial position or balance sheet.